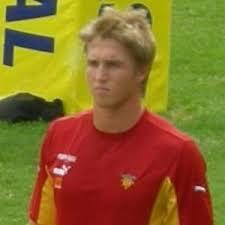 Steve Meyer has agreed terms with the Sharks and Perpignan have released the former Kearsney schoolboy to leave for Durban immediately. 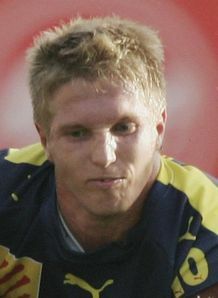 Meyer, who left the Sharks after the 2006 season has battled with injury since arriving in France and it’s in no small part due to that fact that the Catalan club agreed to his early release. Let’s hope that Meyer has more success in his second stint with our beloved Sharks. Welcome back to Durban, Steve! Bismarck in talks with Toulon. @Morné (Comment 4) : source? I can’t believe this. I’m actually defending Monty Dumond on Voldy. What the HELL is this world coming to?? And nogal against a Sharks supporter!!! @Morné (Comment 4) : Saw it coming . . .
@robdylan (Comment 5) : Rob can we get a pic of this Meyer guy? Or should I head back to the sharks site for that? You guys have spoiled me here, I don`t think I`ve ever been back there! @Original Pierre (Comment 9) : they won’t be allowed to confirm the signing until midway through the competition. It’s the way Strooli works with the media. @robdylan (Comment 13) : If you can organise pics this quick. How about a thread on the Flasher girls. You have to ask yourself how good this guy is if a French side is prepared to just let him go so easily. We can just hope he has BMT and provides at minimum a solid platform for the back to work off. I won’t expect any flashy stuff just a solid platform. If the rumours were to be believed all the time then Bismarck would have been playing for 100 different clubs by now and that stringbean who used to play for harlequins in Durban would be the best lock in South Africa. @KSA Shark © (Comment 26) : reckon he’s more like insurance at the moment. My gut feel is they want to develop him in the CC. @KSA Shark © (Comment 28) : Rob Linde? I’ll have you know he’s rated as one of the top locks in the Top 14. Let’s hope so, I am becoming more positive about our S14 chances with ONE major worry and that being our flyhalf. as you can see from above i have settled on not expecting to much from whoever the guy is other than a solid base for the rest of the backs to work off. if it is RP though then i expect a LOT more cos he IS a star flyhalf. That’s the guy, he was so good his name slipped my mind. Is the same Top 14 that our Bok Captain went over and played for a year so that he could get proper rest? But at least his feet are planted well apart and he will not be puled over when he starts spinning. you have to give him credit the guy he is tackling has got forearms bigger than Meyer’s calves. Okay all the ribbing aside. Welcome to the Sharks Mr. Meyer, we hope you are thick skinned and enjoy your stay.